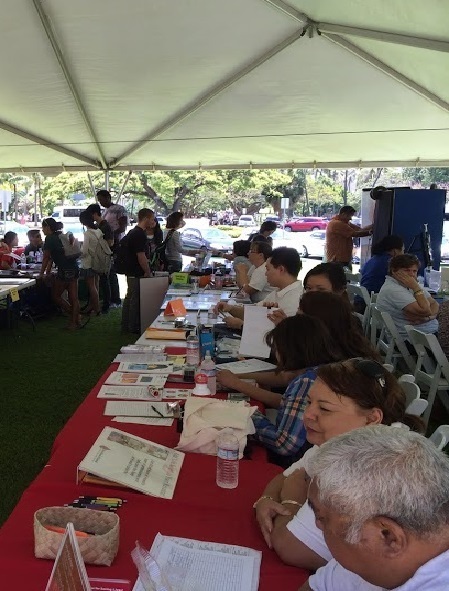 On Tuesday, April 29, 2014, VPH Vice President, Michael Van, and Board Director and former VBRAH President, Don Huynh, attended the Volunteer Fair at the University of Hawaii at Manoa. This marked VPH’s first appearance at the Volunteer Fair, and based on the positive reception Michael and Don received from the representatives of othervolunteer organizations and University of Hawaii students, VPH hopes to return for the next Volunteer Fair at UH Manoa. During their time at the Volunteer Fair, Michael and Donhad the opportunity to network with other nonprofit and volunteer groups to better facilitate future collaboration with those volunteer groups and their community service events. Michael and Don also successfully recruited several new members into the ranks of VPH membership. We look forward to seeing our new VPH members at our upcoming events and community service activities!